These Pizza Bombs are very easy to make and taste fantastic! You could eat them as appetizers or as a meal. And it's easy to double it or only do a half a batch. Enjoy! Preheat the oven to 350 degrees. Flatten each biscuit out with your hand and stretch it out. Put about 1 teaspoon marinara sauce into the center of each biscuit. Put one cube of cheese onto the marinara sauce. Lay two slices of pepperoni on each biscuit. Close the biscuits up and wrap the biscuits around the filling, being sure to pinch the seam closed and making sure no filling shows through. Put them seam side down on a baking sheet. Melt the butter. Stir the garlic powder and parsley into the butter. Brush the tops of the biscuits with the butter mixture. Sprinkle the Parmesan cheese over the tops of the biscuits. Bake for about 20 minutes (maybe longer) or until they are browned on top and the biscuits are cooked all the way. Serve them with the remaining marinara sauce (warm or cold). Do you ever turn the radio up really loud in your car and jam? Sometimes I do. I have a pretty decent stereo in my car, and I like to turn it up really loud sometimes. The bass rattles the windows and the rear view mirror. I know, I'm like a kid. Every now and then I may even dance. I'm sure I look ridiculous. My husband and I were at a stoplight on Sunday and the girl in the car next to us was really jamming out and dancing. It was quite humorous. So this recipe is about jam. I saw a burger with this bacon-onion jam on it somewhere, and I thought it would be great with chicken. So I made Chicken with Bacon-Onion Jam. And what dish is complete without cheese. Don't answer that. I know some things can't have cheese. But I like cheese, and it is one of the New Four Food Groups. Not only is this recipe easy to make, it's darn tasty! Enjoy! Preheat the oven to 350 degrees. Season the chicken on both sides with a little garlic powder, seasoned salt, and black pepper. Bake the chicken on a sheet pan for about 16 minutes and then flip it over. Bake it again for another 14-16 minutes or until it registers at 165 degrees internally with a thermometer. Meanwhile, fry the bacon until crisp and drain it on a paper towel. Pour off all but about 2 T of the grease. Put the onions and a pinch of white sugar into the skillet. Reduce the heat slightly and cook and stir the onions constantly until they are soft and caramelized, about 10 to 15 minutes. Add in the red wine vinegar, bacon, garlic cloves, salt and pepper to taste, brown sugar, and water. Cook and stir until almost all of the liquid is out. When the chicken is almost done, remove it from the oven. Spread the bacon-onion jam all over the tops of the chicken. 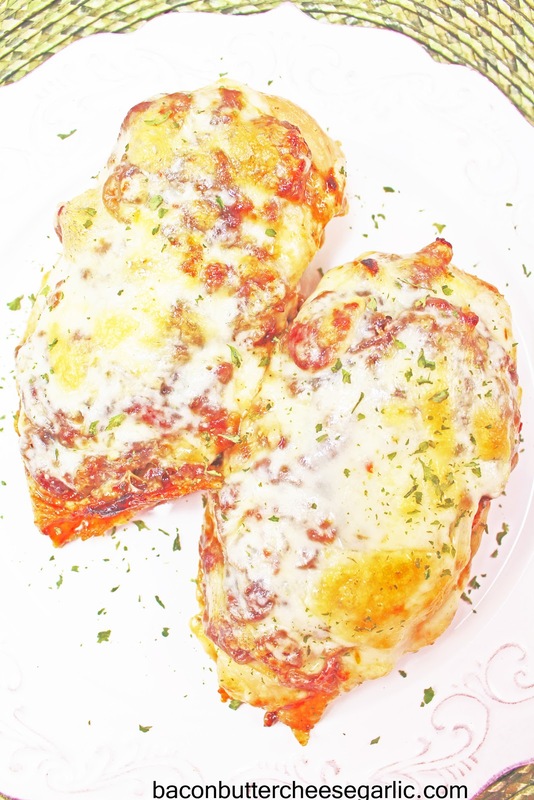 Top each piece of chicken with two cheese slices. Return the pan to the oven to melt the cheese and slightly brown it. If you follow me on Facebook, then you already know about my life-changing moment last night. LIFE CHANGING! While I was grocery shopping last weekend, I saw something that caught my eye. It's something that I've seen for years but haven't ever tried it. On a whim, just because, I bought it. Last night I cooked it. I can't believe I've been missing out on this for so long! Are you ready for it? Bacon Ends & Pieces. ENDS AND PIECES!!! The ends are where the bacon gets most crispy. There are big pieces of bacon in the bag. I fried some up and it was fantastic! Super crispy, meaty bacon. I'm in love! I posted it on Facebook, and I got lots of ideas from my Facebook friends about what to do with it. Some put it in pinto beans while they simmer. Some put them in green beans while they cook. BAKED BEANS! Oh, my! Soups, stews, the ideas are endless. I want to make a big batch of Carnitas with it. If you're a bacon fan, you're going to love this stuff! It's awesome! Okay, I know. I need to calm down. So the picture above is Swiss Chicken. I coated chicken breasts with crushed up croutons and baked it. Then I topped it with crumbled bacon and Swiss cheese. It's pretty fantastic too. And so easy! Enjoy! NOTES: My cook times on the chicken may differ from yours. Always use a meat thermometer and cook chicken to 165 degrees internally. Mine took around 31 minutes to get done. Also, I did use the bacon ends and pieces here, but you can use just regular bacon too. I used croutons for the coating just because I had some that we weren't going to use. 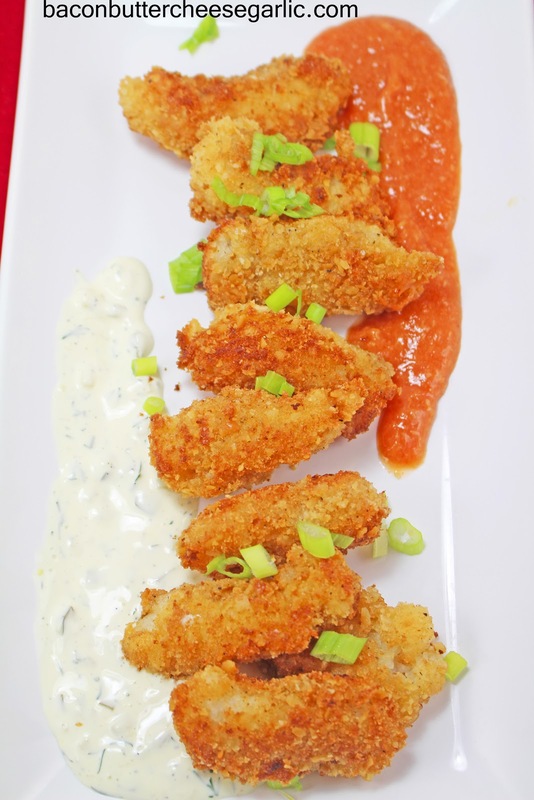 Seasoned breadcrumbs would work just fine too. Preheat the oven to 350 degrees. Mix the mayo with the seasoned salt, black pepper, and garlic powder. Spread the mayo on both sides of the chicken and then press both sides of the chicken into the crushed croutons. Put the chicken on a sheet pan and bake for about 16 minutes. Turn the chicken over and cook an additional 14-18 minutes or until it is at 165 degrees internally. While the chicken is cooking, cook and crumble the bacon and drain it on a paper towel. During the last 5 minutes or so of cooking the chicken, pile the bacon up on the four breasts and top each with two slices of Swiss cheese. Return to the oven to melt the cheese and brown it, if desired. So last night I made this Sichuan Udon. I have never had udon noodles before, so I wanted to try them. They are big fat long noodles that are very white before cooking them. Sichuan is a province in China, but the word "Sichuan" on Chinese food menus usually means it's hot. 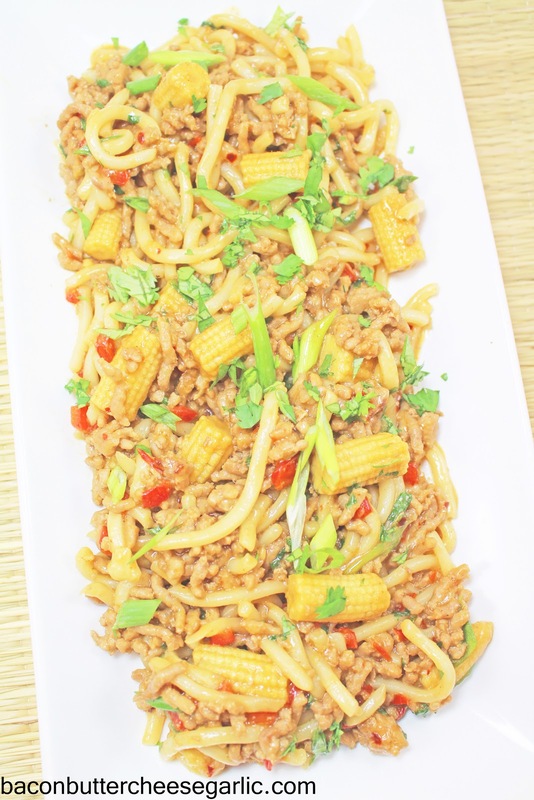 I'm not declaring this a Chinese dish because udon noodles are Japanese. So let's just call this an Asian dish. When my daughter got home from work, she said, "what's that smell?" And I said, "Sichuan Udon. Udown for Udon?" Ha ha. I made a funny. She tried to make a funny and say, "Medown for Udon," but it didn't work quite as well. Asian food is really popular in my house and they all usually come running when they smell it. Anywho, this is a one-skillet meal and it's very easy to put together. And you know what else? It's darn tasty! Drizzle a little sesame oil into a skillet and then drizzle some vegetable oil in. Cook the red bell pepper until soft. Add in the ground pork and brown and cook it until it's done. Whisk the rice wine vinegar, soy sauce, chili paste, chicken stock, peanut butter, oyster sauce, brown sugar, and ginger together in a bowl. Pour the mixture over the pork. Bring it to a boil. Let it cook until the sauce is thickened, about 5-7 minutes, stirring frequently. 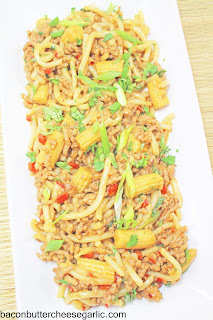 Stir in the udon noodles and the baby corn and cook for 2 more minutes. Remove it from the heat and stir in the green onions and cilantro. Have you heard the Whip and Nae Nae song? It's kind of goofy, but it sticks in your head. My husband, daughter, and I watched the video one day and we all tried to duplicate the dance moves. We're dorky like that. It's really funny to watch my husband try dance moves because he's not coordinated when it comes to dancing. (Sorry, John.) I've tried to teach him to two-step, but his feet ususally don't cooperate. I remember us all trying to do a dance called the pin drop and the "stanky leg" and the Dougie, all of which are kind of goofy too. But we have fun and get a lot of laughs out of watching each other. So I made this recipe last night called Chicken Crescent Roll Casserole. 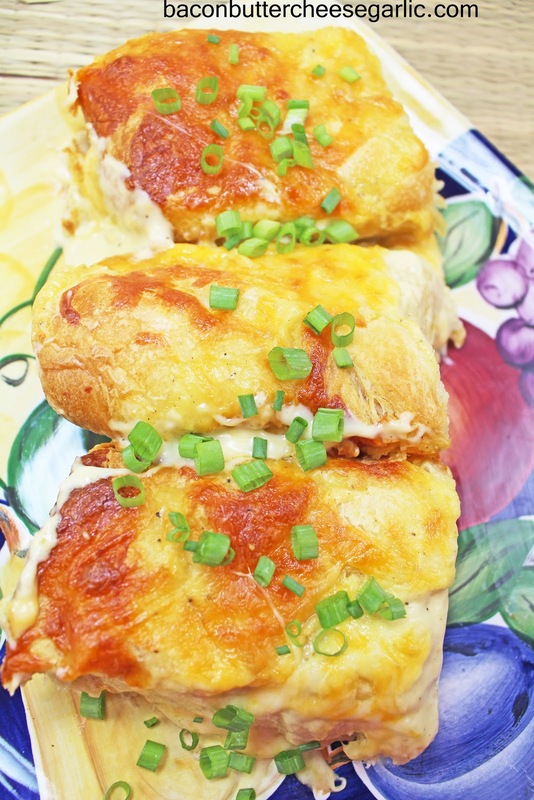 It's stuffed with chicken, cream cheese, Ranch, and some other good stuff. It's another one on my quick dinner search. It has a little bit of a sauce and lots of cheese. It was easy to throw together and tasted great! You'll want to whip and nae nae too when you taste it. Or you can Dougie. Whichever floats your boat. Enjoy! NOTES: I put my rolls a little too close together, and some of the dough in the middle wasn't all the way cooked. Try to wrap them up tight and leave some space between them if you can. Also, the sauce that goes on the bottom and the top is a very small amount. Don't be worried when you see that. It really works out well and there is just enough. Preheat the oven to 350 degrees. Mix all of the filling ingredients together (not the crescent rolls) and set it aside. Next whisk the cream of chicken soup and heavy cream together and set it aside. Open the crescent rolls and roll them out. Separate the dough into 8 rectangles and press together the perforated edge so that you don't have triangles anymore. Divide the filling among each roll. Fold the ends and the sides up and close the rolls tightly. Spread half of the sauce into a 9 x 13 casserole pan. Lay the rolls, seam side down, into the sauce, trying to leave a little space between them if you can. Spread the remaining sauce over the top. Sprinkle the 1/2 C cheese over the top. Bake the casserole for about 40 to 45 minutes or until the crescent rolls are done and the dough in the middle is done. This is a Breakfast Strata. A strata is sort of like a savory bread pudding but with more stuff in it. This one is loaded with ham, bacon, potatoes, cheese, and sourdough bread. You prep it the night before and let it sit in the fridge overnight. And it's darn tasty! NOTES: I bought a 1-lb sourdough loaf and used about half of it. You will need two layers of the cubed bread, but the bread will expand so it will need to be light layers and not crowded. I didn't measure it and just eyeballed it to be about 4 cups. You may or may not need more. Whisk together the eggs, heavy cream, sour cream, Worcestershire sauce, mustard powder, garlic powder, onion powder, parsley, and salt and pepper to taste. Set it aside. In a deep greased 9 x 13 pan, loosely scatter half of the bread cubes. Next layer on half of the potatoes and half of the cheese. Then layer all of the bacon and all of the ham. Then add a second layer of bread, potatoes, and top with the remaining cheese. Pour the egg mixture all over the top, and try to get all of it wet. Cover it and put it in the fridge overnight. The next morning, take it out 30 minutes before cooking. Preheat the oven to 350 degrees. 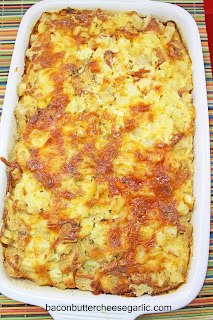 Bake the strata for anywhere from 1 hour and 15 minutes to 1 hour and a half or until the eggs in the middle are completely done and not liquid. Okay, so I'm a klutz. Not in the foolish definition of it, but I just manage to run into things, bruise myself, and be a little accident prone. Just yesterday I rubbed my elbow and it hurt and there's a bruise on it. I have no clue what I did. I have a tendency to walk very fast at work (well, and everywhere), and I bump into things a lot. I wouldn't really say I'm clumsy. I'd just say I have bad aim when it comes to walking. I've run into things at home, and my husband will say, "that bedpost didn't jump out in your way." I'm like, "yes, it did! It's out to get me!" I had a car a long time ago that had those automatic seat belts, you know, when you open the door they move forward automatically or when you close the door the seat belt comes back at you. When I got rid of that car and got a car without automatic seat belts, I think I spent like six months trying to get out of the car with my seat belt on. That car was an SUV, and at least once a week I'd open the door and try to get in and hit my sunglasses on the door while the sunglasses were on my face. I'm also that person who is always tripping over nothing. People seem to be very amused by that. Good times. So I made this flatbread pizza the other day. I'm calling it Pesto Spinach Flatbread Pizza. I really didn't intend to put bacon on it. But the dough makes two flatbreads, so I made a meat lover's version for the boys. They had a little extra bacon that they didn't know existed so I snatched a little up for my pizza. This pizza doesn't really have a sauce, but it has pesto. Yummmmm....I love pesto. It also has three cheeses, one of which is called Ricotta Salata. Ricotta Salata is a sheep's milk cheese which is a hard, crumbly, salty cheese. If you can't find that, you could use feta, goat cheese, or whatever cheese you like. As you can tell from the picture, I really like browned cheese. You don't have to brown yours as much if you don't. This dough recipe is so good too and easy. It stays incredibly soft. 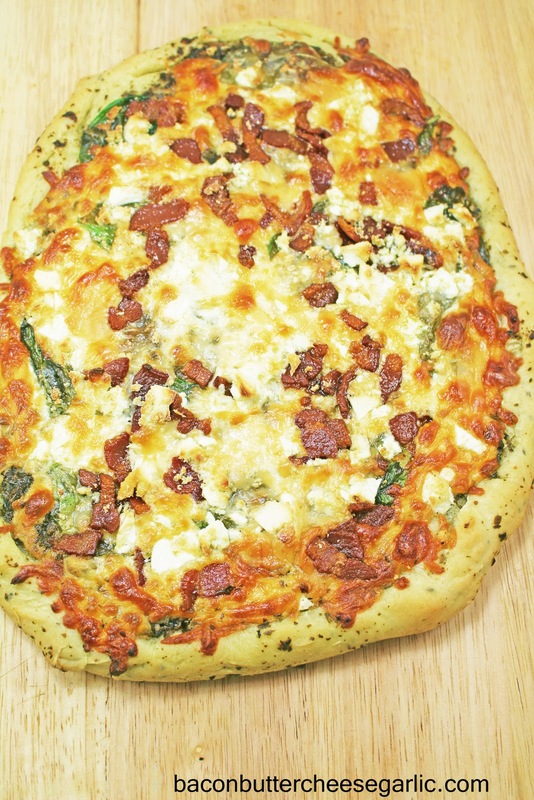 If you like pesto and cheese and spinach, this pizza is for you! NOTE: The dough recipe makes enough for two large rustic pizzas. 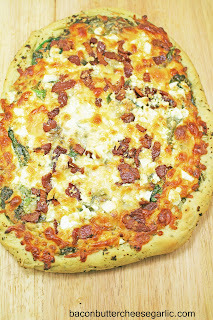 I made the Pesto Spinach Flatbread Pizza and then I made a meat lover's version for the boys and used marinara sauce. You can either double the pizza ingredients and make two or make another pizza of your choice. I haven't tried freezing pizza dough, so I'm not sure if that will work or not. Or you could maybe refrigerate the other half of the dough and use it in a day or two. For the dough, put the water, yeast, and sugar in the bowl of a stand mixer. Let it sit about 5 minutes to get frothy. Next add in the remaining dough ingredients and knead with a dough hook until the dough comes together in a ball. The dough will be sticky. Put it in a large greased bowl and cover it with plastic wrap. Let it rise in a warm place for an hour. After an hour, turn the dough out onto a well floured board. Divide the dough in half. Roll one half of the dough out into about a 12-14 inch freeform shape. Curl the edges up to make the crust. Put the dough on a sheet pan or pizza stone. Let the dough rise about 15 more minutes. Bake the dough for about 5 minutes. Take the dough out of the oven and spread the pesto all over the top, including over the crust. Lay out some spinach leaves all over the top. Sprinkle on the cheeses and bacon, if desired. Bake the pizza for about 20-25 minutes or until the dough is done and the cheese is melted and browned. Teenagers...sometimes they can be so much fun, but sometimes not so much. Our daughter is a senior in high school. She has been driving for a year and a half, and I still worry every single time she gets in her car. We made the decision to do the parent taught driver's ed, which was not fun at all. She really struggled to learn to drive. It was very stressful and she had to drive a lot of hours. My husband took her out a lot in the beginning before I would let her drive me anywhere. And, when I did let her drive me, I was a nervous wreck the whole. My husband took our almost 15-year-old son out on his first drive yesterday. He sent me a picture of him in the driver's seat. He looked like a grown man! We have a wall in the house where we mark how tall all of us are. I'm the shortest, of course. Our son is almost 5'11" tall, and he's not 15 yet. He has grown an entire foot and a half over the last three years. It's crazy. Anyway, my husband said that our son's first drive was worse than our daughter's. Driver's ed it is! And he thinks he's going to get an old muscle car and fix it up. Nope. He's getting a tank. So the real reason you're here is for a recipe, not my ramblings. 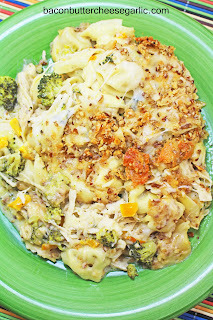 This Chicken & Broccoli Tortellini is so good and it cooked in one pot! You don't even have to precook the tortellini. The filling is so yummy and the topping is amazing! We absolutely loved this. You could even switch the chicken out and use turkey or ham. Enjoy! NOTE: I usually have cooked shredded chicken on hand. You could, however cut raw chicken into cubes, saute it in the butter first, and then remove it to a plate and cover it with foil. Then you could stir it back in later. Also, I used Swiss cheese, but use whatever cheese slices you like. 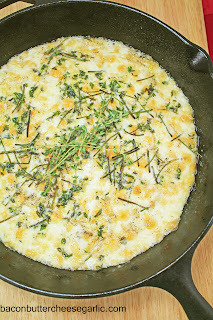 In a large ovenproof skillet or dutch oven, melt the butter. Saute the bell pepper and onion until they are tender. Add in the white wine to deglaze the pan. Add in the flour and garlic and stir them around. Next add in the chicken stock and heavy cream and whisk. Season the mixture with salt and pepper. Let the mixture come to a boil and thicken. Meanwhile, for the topping, melt the butter. 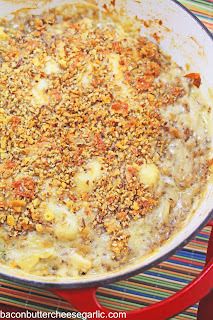 Stir the Parmesan, pecans, Ritz crackers and butter together and set it aside. Preheat the oven to 350 degrees. 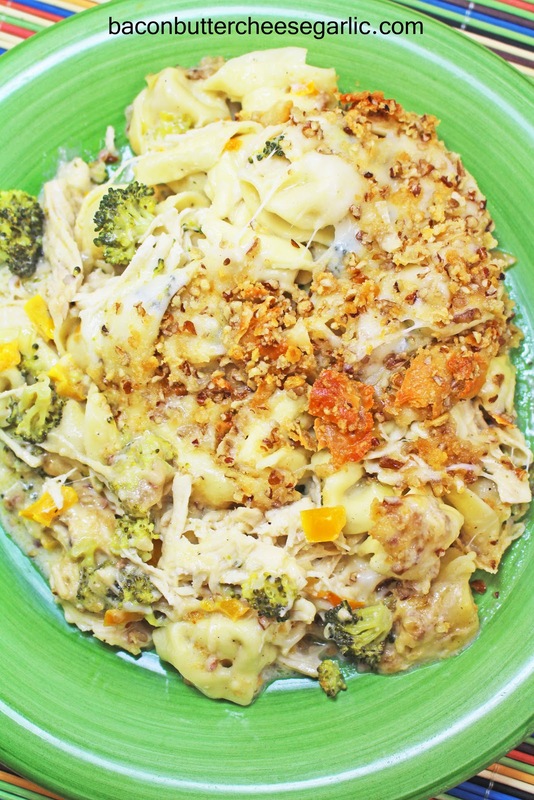 When the sauce is thickened, stir in the broccoli florets, chicken and tortellini. Remove it from the heat. Lay the Swiss cheese slices all over the top. Sprinkle the Ritz cracker mixture all over the top. Bake for about 30 to 35 minutes or until it's bubbling and lightly browned on top. I'm going to take you on a journey. It's a meatball journey. Just imagine you're in New York in a dive pizzeria, where the owners speak fluent Italian. The wife, who does the cooking, is shouting at someone in the back in Italian and is very angry. The husband is happy and joking up front with customers. The food is good. The sauce is authentic. The location is probably a little sketchy, and you might not want to be there at dark. But the meatball heros...you have to get those heros. You know they're good. You crave them. You can't get enough of them. And the cheese...oh, that Italian woman uses the best cheeses and isn't stingy with it. You'd probably stand in line in the rain for those meatball heros. You'd probably even risk going in there while the mafia is in there just to get that sandwich fix. That's true dedication, my friend. Okay, so I'm not Italian. But I made this awesome Meatball Parmesan the other night. You know, like Chicken Parmesan, but with meatballs instead of chicken. I originally planned on serving it over pasta, but my daughter and husband insisted on serving it in hoagies, which luckily I had some ready to go. My husband buttered the insides of the bread and added garlic. He topped the hoagies with cheese and more butter and garlic and heated them in the oven. But the star here is the Meatball Parmesan. Sure, the bread was really good, but it wouldn't be spectacular without those meatballs. Tender, juicy meatballs with homemade marinara sauce and cheese...lots and lots of cheese. Are you hungry yet? NOTES: I got 38 1/2-inch meatballs for this recipe. I tried to cook them all at once, and I found that the pan was too overcrowded and I broke a few of the meatballs. I would suggest frying in two batches or two pans. The meatballs are soft, so be very careful when frying them and turning them over. Be generous with the salt in the meatballs. I didn't add quite enough, and I wished that I added a little more. Also, I highly recommend making your own marinara sauce. The link to my recipe is above. It really takes just a small amount of chopping and minimal effort after that. You will really be surprised at how much better homemade sauce is. Plus, my recipe makes a lot and it freezes really well in smaller portions. Preheat the oven to 350 degrees. Mix the meatball ingredients together by hand, adding the extra 1/4 C breadcrumbs if the mixture is too wet. Shape the meatballs into about 1/2-inch balls. Put the meatballs in a skillet and brown them over medium high heat for about 3 minutes on each side (turn them carefully so you don't break them). Don't worry if they aren't cooked through. They're going in the oven. Drain them on a paper towel, if necessary. Pour 2 C marinara into whatever dish you're going to bake it in. I used a cast iron skillet. Add the meatballs in a single layer. Spoon the remaining sauce over the meatballs. Put the pan in the oven and cook for about 10 minutes. 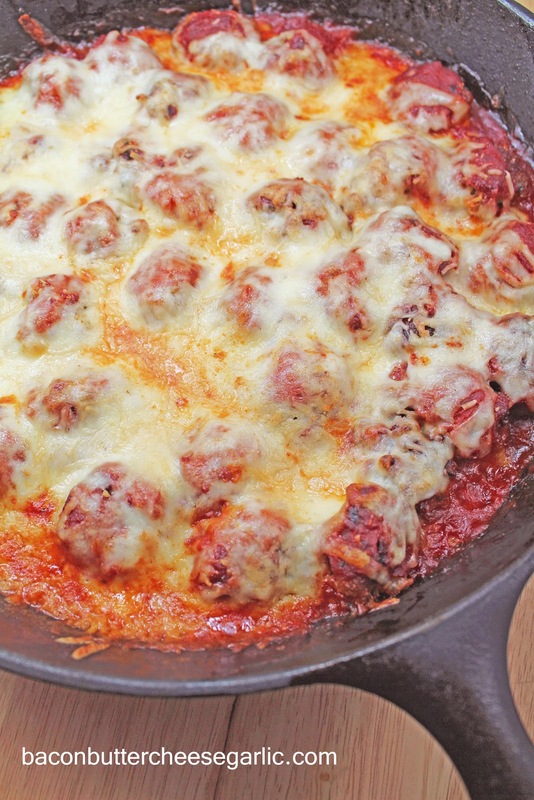 Sprinkle the 2 C Mozzarella and the 1/2 C Parmesan all over the meatballs. Return the pan to the oven and bake for an additional 5-7 minutes to melt and slightly brown the cheese. Serve with pasta or on hoagie rolls as a sandwich. Okay. I know this doesn't look like anything spectacular, but...it is. This is called Hissy Fit Dip. It's all over the internet and Pinterest. The story behind this dip is that someone made it for a college tailgating party. An uppity Southern Belle was late to the tailgating party, and she totally missed out on the dip and commenced to throw a hissy fit! This dip is full of flavor. It has breakfast sausage, lots of cheese, and other good stuff that makes it fantastic. I took the leftovers to work, and my boss and one of our employees nearly had a fight over it. I guess you could say they had hissy fits too. Enjoy! Preheat the oven to 350 degrees. Cook the sausage in a skillet, breaking it up as you go. When the sausage is done, stir the Velveeta, sour cream, cream cheese, half of the Muenster, and the remaining ingredients (not the chips or crackers) into the skillet, stirring to melt. 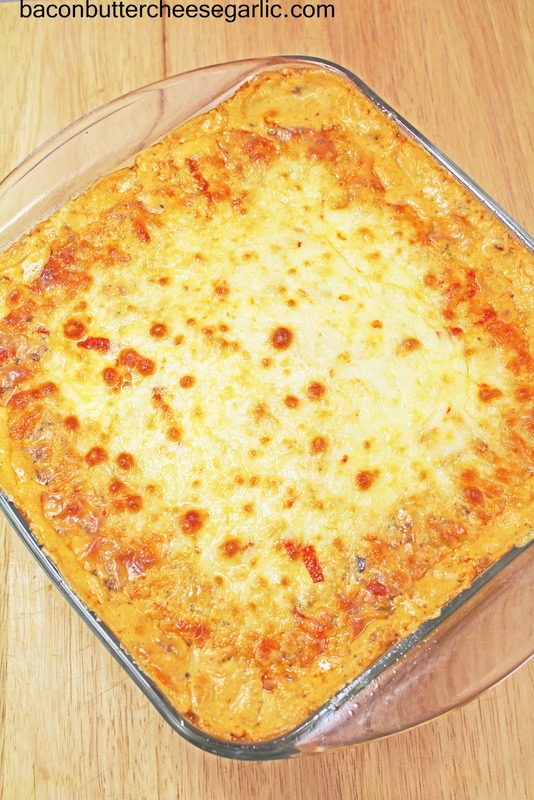 Put the dip into an 8 x 8 casserole pan. Put the other half of the Muenster cheese on top. Bake for about 25-30 minutes or until the dip is bubbling and the cheese on top is browned. Serve with chips or crackers. When my kids were younger and I didn't cook so much from scratch, I used to buy them frozen fish sticks. They ate them and liked them then. But, now that I've turned my whole family into food snobs, they wouldn't dare touch them. When my daughter was in the 8th grade, they had a little 8th grade banquet, which is like a celebration of "graduating" middle school and moving on to high school, which, by the way, I still find it strange to have 9th graders and 12th graders in the same school. But it kind of works out for me since I have a 9th grader and a 12th grader at the same school and, therefore, the 9th grader has a ride to and from school. Woo-hoo! Anywho, when my daughter got home from the dance, she was telling me about this spaghetti dinner they had and how awful it was and how I ruined her from eating normal teenager food by making awesome food at home. She won't even eat the cafeteria food and brings her own lunch, even though they have Chick-fil-A and Pizza Hut. Bad parenting, I know. So back to the fish sticks. I made some really good Crispy Fish Sticks the other night. The coating is really crispy and the fish is flaky and tender on the inside. And I even made homemade tartar sauce, despite the fact that, according to my children, nobody eats tartar sauce. Your mother eats tartar sauce, Children, and I'm somebody. My daughter wasn't home to eat these, but my son was and he loved them. So it's great for kids of all ages! Enjoy! NOTE: My fish sticks weren't perfect rectangles, which is fine with me. However, I found that some of them didn't quite cook through during the frying time. I left them in the oven at 200 degrees for about 10-15 minutes to finish off the inside. Just be sure and check them so that they aren't undercooked in the center. For the tartar sauce, whisk together all ingredients and put it in the fridge until you're ready to use it. Grind the bread slices and saltines into a fine almost powder. Put the flour into a bowl by itself. Whisk the eggs and the 1/4 C mayo together in another bowl. Put the bread and saltine mixture into another bowl and season with salt and pepper. Preheat the oven to 200 degrees. Heat some peanut oil in a large skillet on medium high heat. Dip the fish into the flour first, then into the egg mixture, then into the bread and saltine mixture. Fry the fish sticks in batches until golden brown and crisp, about 2 minutes per side. Drain them on a paper towel and put them on a sheet pan in the oven to keep them warm. Serve with the tartar sauce and cocktail sauce, if desired. 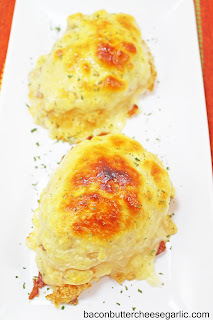 So I came across a recipe for Baked Fontina. It looked and sounded so good. I'd never eaten Fontina cheese before, so I had to try it. Shut the front door! This stuff is amazing! True decadence at its finest! It's really quick to make and cook. 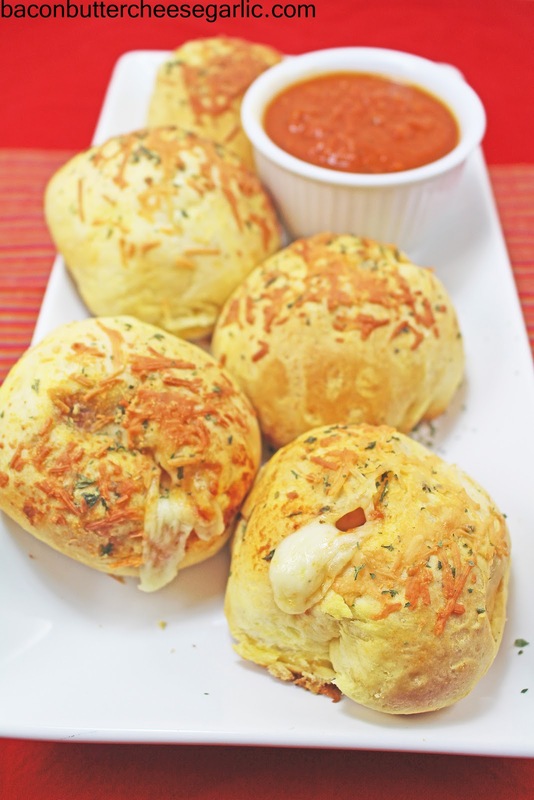 Sit down with a hunk of French bread and dip it in and pull pieces of gooey, tasty, amazing cheese! This is even better leftover. It gets really solid in the fridge, but it melts again really well in the microwave. My husband was out of town when I originally made it, but he ate some leftover and loved it! 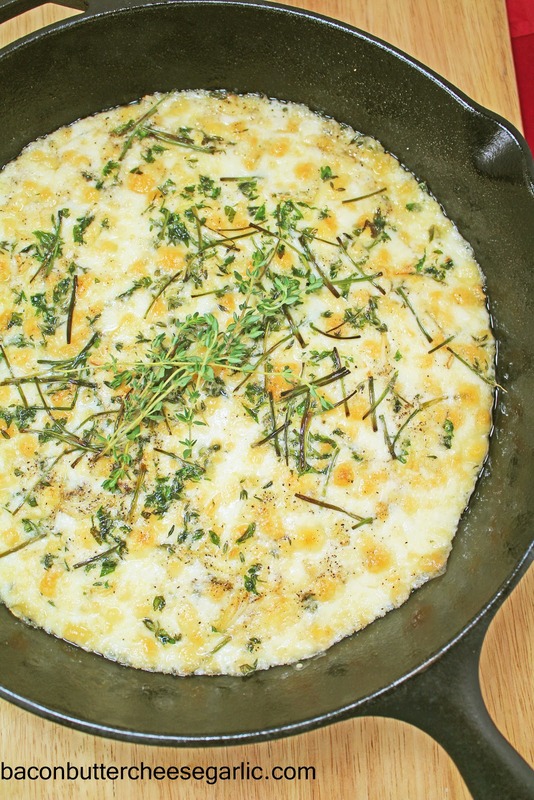 I could go on and on and on about this Baked Fontina. It's super duper darn tasty! NOTES: I used a cast iron skillet for this. I recommend using that or a nonstick ovenproof skillet. It will probably work in a stainless steel skillet since there's enough fat in cheese and olive oil, but I haven't tested that to see if it sticks. Also, the original recipe I looked at said to use 1/4 C olive oil, which I thought a bit much. But, if you're a fan of dipping bread into flavored olive oil, go crazy! I served mine with a loaf of everything crusted French bread, and we just tore hunks of the bread off and dipped it in. Preheat the broiler. Remove the rind of the cheese and discard the rind. Cut the cheese into very small cubes. 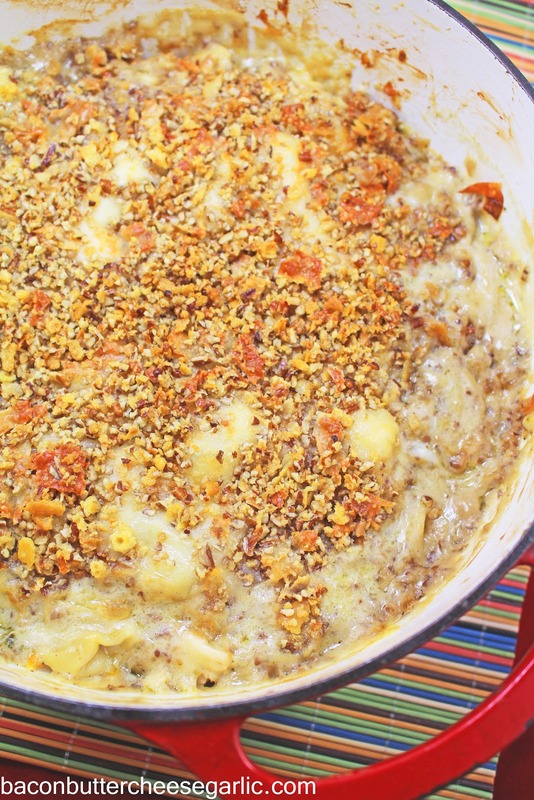 Put the cheese into a cast iron skillet or a nonstick skillet. Sprinkle the garlic all over the top of the cheese. Sprinkle the herbs all over the top of the cheese. Drizzle some olive oil over the top of everything and sprinkle on some salt and pepper, to taste. Broil the cheese for about 6-7 minutes or until the cheese starts to brown slightly. Serve right away.